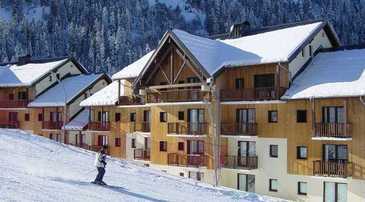 -Pretty holidays in the centre of the Alps, surrounded by 22 villages and hamlets to explore. -A good range of activities to try - land, water and even air-based! Situated in the heart of the Alps, in the Maurienne Valley opposite the Aiguilles d'Arves, the resort of Saint Jean d'Arves offers magnificent and unique panoramic views of the Alpine summits all the way to the Col du Chal. Saint Jean d'Arves is a fantastic family resort, with plenty of activities and events themed around children. Long-running traditions are proudly celebrated here, and it is still the place of many different feasts and festivities. Taste some Diots' Savoyard sausages, or discover how Beaufort cheese is made at the village fête. If your visit includes Bastille Day, on July the 15th, try out some of the traditional French country dancing. This sunny valley is the perfect place for a mountain holiday, with its 22 tiny village hamlets, creating a picturesque location for visitors to travel through and explore. With the charm of a traditional mountain village, and surrounded by majestic peaks, Saint Jean d'Arves provides a relaxing base to escape the stress and noise of everyday life. Our fantastic accommodation in La Fontaine du Roi has been designed to make your stay as relaxing as possible, with apartments sleeping up to 12 people and chalets sleeping up to 10. There is a great selection of amenities on offer here, including bars, shops and restaurants that will keep families, couples, solos and groups of friends entertained throughout their stay. These facilities are all easy to access from Madame Vacances' properties; ideal for those wanting to enjoy a range of activities and facilities during a scenic and peaceful break. For those who love to explore, Saint Jean d'Arves has 165km of marked and maintained tracks creating specifically for cycling. This is a great opportunity to actively take in the stunning scenery. If you would like more time to take in the surroundings, or even if you want a simple stroll, there are 425km of walking paths all across the area. These cycling and walking paths will eventually lead you to the Ouillon peak at 2431m, where the summit's views will not be easily forgotten. Another way to explore the valley is by horse with St Jean Horse Riding, who match you to the right horse and offer friendly guides that can take you trekking for an hour or more. More adventure can be found with rock climbing and paragliding. Nearby St Sorlin Via Ferrata is an exciting site to try some climbing, and has secured pieces, including levels, beams, a bridge, and a monkey bridge. There is also the St Sorlin High Forest Course, for a high wire obstacle course, where even younger visitors can join in. If you're looking for magnificent views head to the St Sorlin Canyoning with a guide to experience everything this beautiful area has to offer. If this still isn't enough adventure for you then St Jean Paragliding is the place to go for paragliding, and allows you to take in the entire Sybelles area from above. Arvan Tennis Club is perfect for those who prefer to stay on the ground and its incredibly beautiful location mean it's a great place to make most of the fresh alpine landscape, too. Enjoy tennis court rental, week long training, group tennis lessons, and private lessons. If you prefer to stay indoors, St Sorlin d'Arves is home to a bowling alley open every day from 3pm to 2.00am, and has a games room included. 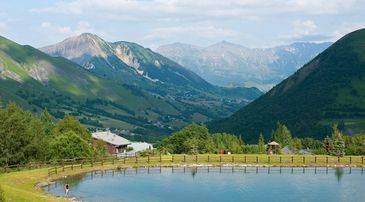 There's also the St Jean d'Arves market, and if you need to relax and unwind, try the St Sorlin artificial bathing lake. It is free to access, and there is supervised bathing from 12am to 6.00pm in season, making it a brilliant option for families. If you're hoping to try traditional fondue during your visit, then a meal at Le Fréti is a must. There's a variety of cheeses and cheese dishes on the menu, great for those wanting to try some of the celebrated local fare. La Guinguette du Plan d'Eau is perfectly positioned and offers a number other dishes that will delight your taste buds. This restaurant is a good distance from the roads, and is set against a park where you explore the ponds and wooded hillside before or after dinner. The setting is both pleasant and tranquil, and indulging in food here is a truly French experience. Be sure to try one of their various wines, with the helpful waiters recommending the perfect accompaniment to your meal. For more modern and innovative cooking, try Aromatik. The creative dishes appeal to both your eyes and your palette, with the menu offering simple yet elegant options with high quality ingredients. For something entirely different the Tex Mex Café 201 offers a wide range of dishes. This French restaurant with an American theme has a vast menu that's full of burgers, fries and fajitas and with live bands and other activities, the venue also makes for a great bar and place to hang out in the evenings. L'Indiana café is good for those travelling with children and offers excellent value for money. This is laid back dining, with a tasty selection of Paninis, hamburgers and chips, all washed down with your drink of choice. Saint Jean d'Arves' chairlift in La Chal will take you from 1600m to 1850m. It is accessible for pedestrians with or without mountain bikes, and cyclists will be able to explore the Les Sybelles area using the chairlifts in Le Cobier, La Toussuire and Saint Sorlin d'Arves. Guests can choose from a huge range of childcare options in Saint Jean d'Arves, including the Halte Garderie Daycare centre, which is a nursery for children from three months to six years old. 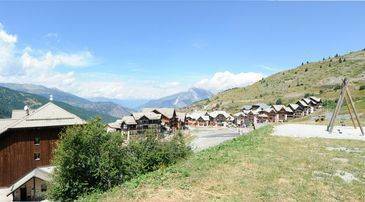 The nursery is open all year long, and it is situated in the resort centre of La Chal. There are also a number of well-trained babysitters, most of whom are bilingual, available through the local tourist office. If you travel to Saint Jean d'Arves by car, you should not have trouble parking. There are parking facilities across the resort, as well as located at the bottom of chairlifts. Some of which it is possible to reserve in advance.